Best Recumbent Bikes 2019 - Do NOT Buy Before Reading Reviews! Home » Fitness Equipments » Best Recumbent Bikes 2019 – Do NOT Buy Before Reading Reviews! The recumbent bike is one of the most favorite quirky bike available in the market which looks strangely like a cross between a lounge chair and a tricycle. There are more than 20 new recumbent bike models being launched on websites like Amazon every month and every new recumbent bike as some or the other productive and innovative features you’ve never seen before. That being said, if you start a workout with any random recumbent bike, there are possibilities of injuries such as knee pain, lower back injury and genital syndrome. Here are our quick recommendations for the best recumbent bikes for beginners and experts. These results are curated after various tests on these recumbent bikes by our experts. In this roundup, we have considered options such as best recumbent bike for home and commercial use. We have done an extensive research on 100+ recumbent bike models available in the market and here are our top recommended recumbent bikes for you. The Schwinn 230 & 270 are not just great recumbent bikes, they are among the best pieces of fitness equipment we’ve ever had the pleasure of testing. We’ll start with the rather impressive looking display units(2) the bikes come with; There is ample space to view all sorts of workout data. What we really like though is the 4 pre-set profiles (2 for the 230) that lets you keep the bike configured for multiple users. This means that you can quickly toggle settings for another user while keeping your own. It also features 29 (22 for the 230) different programs and allows you to enter details like your weight etc. in order to accurately track workout information. We also love the goal-tracking feature that lets you know every time you hit a new personal best. There are 3-speed modes for the inbuilt fan and it has the ability to raise or lower the flow of air based on the rider’s height. The bikes have some of the best entertainment capabilities we’ve seen on machines of this class. There are a headphone jack and USB charging port to complement the surprisingly good speakers that pump out quality audio to keep your workout engaging. There’s also what is probably the best tablet stand we’ve seen which sits dead center in front of the main display. Of course, thanks to the second display, your workout information is still always visible. Let’s talk about the actual bikes for a bit. They use a single-piece frame with two integrated levelers and a large mid-frame support. This makes them feel incredibly solid and stable. The step-through frame design makes it easy to get on or off them. Adjusting the seat is also fast and easy thanks to a sliding aluminum rail system. The seat Is comfortable and contoured at the leg area which along with the large, vented backrest makes riding them a cool and comfortable experience. A high-speed high inertia weighted flywheel with 25 levels of magnetic resistance (22 for the 230) keeps workouts smooth, quiet and challenging. Rounding out the package are ergonomically placed grip heart rate sensors, oversized pedals (standard size for the 230) and a side-mounted bottle cage. Basically, these bikes have everything but the kitchen sink. Note: Both bikes provide the same amount of resistance, just in smaller increments on the 270. The 270 uses a well-padded seat whereas the 230 uses a plastic molded one. The 230 seat is comparatively better ventilated. Other differences (apart from those listed above) are the use of a 3-piece crank on the 270 vs a 1-piece on the 230 and the ability of the 270 to support Polar heart rate straps in addition to the hand pulse sensors available on both bikes. The 270 is the newer and arguably better bike but one can consider the 230 in a pinch if the deal sounds better. The Exerpeutic 900XL offers the best bang for your buck when it comes to selecting a full-sized recumbent bike. Despite the modest price tag, this capable bike offers 8 levels of magnetic resistance, a large LCD display, and hand-based heart rate sensors. The 900XL is the most comfortable bike we’ve tested so far and really lives up to the ‘XL’ part of its name when you look at the large, oversized seat cushion and backrest. Seriously, I almost fell asleep the first time I took it for a spin, It’s just so damn comfy! Of course, cranking the resistance up to high woke me right up. Speaking of resistance, the bike employs a ‘smooth torque’ cranking system which offers a very predictable and reliable experience when mashing on the rather large pedals. The bike has wheels to make it easy to move it around and doesn’t need any external power to run. This makes it quite portable; something we like as we’re generally pretty indecisive about where to park these things. All in all, if you’re the kind of person that gets excited by a good deal, the 900XL is right up your alley. This is a very competent bike for the money. Also, you can watch TV while you ride it because the display isn’t high enough to get in the way. 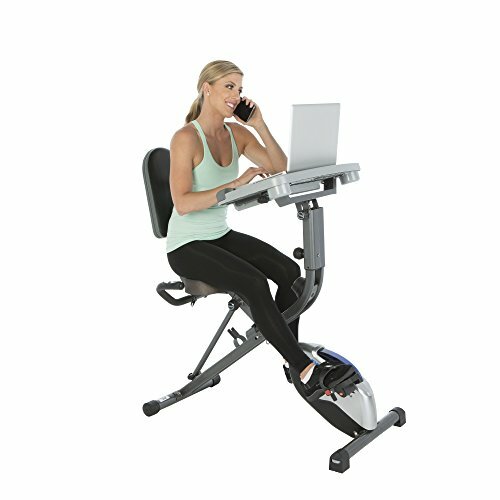 Do you like the idea of working and working out at the same time? Have a look at the Exerpeutic WorkFit. Not only is it a semi-recumbent exercise bike, it is also a workstation for your laptop, a platform for your book or tablet, a chair, and desk combo as well as a standing desk! Whoa! Aren’t you glad you’ve stumbled across it? Did we mention that it also folds for easy storage? Most of the working bike-parts are identical to the ones used in the 900XL so we won’t bore you with those details again, except to say that this one is just as capable an exercise bike. This is a seriously cool piece of equipment with a lot of utility. This is a serious bike with a focus on the serious athlete. We’re serious. This is only meant to be used for the most serious of workouts. Seriously speaking, while the Ironman H 410 is a well built and easy to use the bike that anyone can enjoy and gain benefit from, we’re not kidding about its performance potential or its ability to train/rehabilitate a proper athlete. The working parts of the recumbent bike are about what you’d expect from something in this class; quiet, hardwearing and generally very good. Not much for us to report here but to say that there’s nothing to complain about. Where the bike does stand out though is its attention to detail on the rider contact points, namely the seat and backrest, something that’s at times overlooked. The seat has individual air chambers for maximum comfort and the backrest is made of memory foam. These things let a rider ride longer and therefore get fitter as a result. If you’re interested in this bike, you either own a gym or are someone who rides a lot. Or perhaps you’re someone who wants to pass this down to your kids as a family heirloom. Either way, you’re looking in the right place. Everything on the bike is of the highest quality and really cannot be compared to bikes intended for home use. It’s hard to think of anyone who would be wanting after checking out this level of kit. Comfortable, durable, well ventilated, these bikes are built to withstand repetitive, rigorous workouts of health clubs, hotels and spas for years and years without skipping a beat. It has some notable additional features such as Dual-sided pedals for use with regular or clip-in cycling shoes, Compatible with 5 kHz wireless Polar heart rate monitors, Lots of workouts presets, lots of monitoring tools, lots of processing power. If you can justify the price of entry, these bikes are in a league of their own. It is quite obvious that a recumbent is the most comfortable type of bike out there. You get to relax in a reclined position while the legs do all the work. No more pain or numbness in weird places, just a quick and effective cardio workout. A standard upright bike, while effective in its own way, is not designed with the intent of taking full advantage of the human anatomy. This is especially true for people with limited mobility and for those that have back/wrist pain. Our bodies are built for our head to drop, not to pull the head back as you would on an upright bike. This means that chances of both back and neck pain are greatly reduced. While cycling is without question the ultimate form of cardio, recumbent bikes can take it to the next level. One of the ways they can help do this is due to the focus on the actual movements of cycling i.e. the spinning of the legs. They do so by taking everything else out of the equation. Therefore, the back is well supported, the neck is in a relaxed position and the spine is neutral. This allows even unfit or injured individuals to maintain and gain fitness and makes the great cardio benefits more accessible to a wide range of people. While most fitness equipment is recommended by gym instructors and other fitness experts, best recumbent bike are usually recommended by doctors. This is particularly true for people dealing with injuries, are a risk of injury or currently unfit to engage in conventional exercise. By the same measure, it can also be a great tool for athletes recovering from an injury. A recumbent can prevent them from losing too much fitness as they recover. Cardiovascular exercise offers many benefits but they cannot be attained by people that are unable to engage in them for any number of reasons. Chronic pain, arthritis, and miscellaneous joint conditions are usually not a hindrance for riding recumbents. Even patients that have been bed-ridden and completely immobile for extended periods of time are usually able to work with a recumbent bike. It can indeed, in many cases be easier than even walking! All of the benefits that can really help the injured or elderly get in some exercise can also benefit anyone looking to improve their fitness as long as they have a functioning pair of legs. Who Should Buy Recumbent Bike? If you want to do cross training with the lowest level of impact, just in case you have recently been recovering from an injury, then go for a recumbent bike. You can make good use of all the preset workout programs to customise the speed level and level of resistance as per your own convenience. The way you sit on the recumbent bike also has an impact on the glutes and will further improve your posture in the long run. Recumbent bikes will not give you the same level of intensity as working out with an indoor cycle or an upright bike, but what you can definitely achieve from it is burning a lot of calories and building up on your cardio. If your main goal is to increase your level of endurance in cardio and lose weight, a stationary recumbent bike is ideal for you. If you want to achieve optimal results from your recumbent bike in terms of weight loss, you need to ensure two things: choosing the right level of intensity and power your workouts properly. Working out on a recumbent bike does not directly affect your abdominal muscles or strengthen it but it is an effective form of cardiovascular exercise that helps you burn calories. In doing that you reduce fats from your body which will also include your midriff. This will help you make your abs more visible that will in the long run also strengthen them. When you bring the seat closer to the pedals your legs will contribute less to pedaling as compared to your lower abdominal muscles. This will force you to engage with your thighs, glutes and calf muscles. Further, this will also help you to strengthen your stomach muscles. Once of the major benefits of working out on a recumbent bike is cardiovascular exercise. If you do regular cardio on a recumbent bike it will increase the functioning of your heart and lungs and lessen the chances of blood pressure or any kind of lung disorders. Working out on a recumbent bike strengthens the leg muscles in your body including your quadriceps, hamstrings, glute muscles. A 30 minutes daily workout session on your recumbent bike will help you tone down your calf muscles and strengthen your legs, further helping you to develop bulging glute muscles and quadriceps. The above picture outlines the correct knee angle/position for a recumbent versus an upright bike. The knees are one of the most technical parts of the human body and should, therefore, be treated with care. An easier way to go about this is to raise the seat height until your knees are almost fully extended at the point the pedal is furthest from you. Not only will this ensure that you recruit all of your leg muscles into the movement, but it will also make sure your knees stay nice and protected during exercise. As illustrated above, the quads, hamstrings, glutes, and calves are the main muscle groups used while cycling. Of these, the quadriceps are arguably the most powerful. The glutes provide a lot of support to the movement considering that it is such a large muscle group. The hamstrings help in bringing the pedal back at the end of the pedal stroke and the calves add a bit of kick to the movement while also functioning as a pump in the important task of sending used up blood back to the heart for re-oxygenation. There are however a few more muscles that are or at least can be engaged in order to make your workouts more effective. While cycling, it is possible for us to engage our core to assist the movement and also to stabilize the body. This can be done by simply pulling the abdominal muscles in, drawing the muscles of the waist to assist your back and keep you in place can be a great way to exercise your core and abs while getting a great cardio workout. 1. Are recumbent bikes comfortable to use? Yes, recumbent bikes are comfortable to use. You will experience no added pressure on your wrists, seat, neck or shoulders. Your back will be supported by the ergonomically comfortable seat. However, make sure to check on the style of the seat and the size when before you plan to buy one. 2. Are recumbent bikes safe? Your feet will be the most used when working out on a recumbent bike. The seats are mostly positioned in a way that they are higher than most other bikes, even higher than an upright bike for visibility, center gravity, stability and safety purpose. 3. What is the purpose of a flywheel in a recumbent bike? The magnetic resistance created in a recumbent bike is mostly applied to the flywheel that helps to create momentum. This gives you the feel of an actual outdoor cycle! The pace of your pedaling, whether it is faster or slower, has direct impact on your lower body muscles such as the calves, thighs, and glutes. 4. What all is displayed on the screen of a recumbent bike? Resolution (LED/LCD): The resolution will either be LCD or LED similar to the kinds used in desktops or TVs. LED display will however have better resolution than an LCD display screen. Heart Rate Monitor: Most of the top and mid-range models gives the option to track your heart rate that is displayed on the screen. You have to hold the grip in the handlebars to read your heart rate sensors. Some of the recumbent bikes even comes with wireless chest strap that monitors the user’s heart rate and displays it on the screen. Entertainment: Apart from the basics, you can even get the option of in-built speakers or watch your favourite shows on it or listen to music. 5. Can you perform HIIT workouts on a recumbent bike? Of course, you can! Although you cannot cycle in a standing position as you could with a spin bike but you can do high intensity workouts from a seated position with regular intervals. 6. What are the options of resistance on recumbent bikes? Direct contact resistance: Friction through this kind of resistance uses brake pads to slow the flywheel. This is the most popular of the three as it gives the user to choose from different resistance levels, although it is a lot noisier. Magnetic resistance: Although this kind of resistance extra maintenance because the friction level on the flywheels is low. But they are gradually gaining popularity as they are the quietest recumbent bike in the market as of now as they make use of electromagnetic induction.Fan-based resistance: In these kind of recumbent bikes, resistance is created through fan and not flywheel. A fan is connected to the pedals with a belt and if the user want to increase the level of resistance, they have to pedal faster. 7. Do recumbent bikes come with a warranty? Parts warranty: This warranty is usually short length and could be anywhere between 60-90 days to a year or two. Frame warranty: The length of warranty for this will be anywhere between 2 years to a lifetime even. Lifetime warranty: It is rare to come across a recumbent bike that will give lifetime warranty for all the parts. The most common of it are the frames and brake. 8. What could be the medical reasons why people prefer recumbent bikes? Some of the most common medical reasons why people switch to recumbents are: shoulder and/or back pain, neck pain or injury, impotence in males, or injury in the hands or wrist. NordicTrack was founded in 1975 and since then has been a renowned name in the fitness equipment industry. Most of its component parts are manufactured from China. Nordic has established itself as a brand in three segments of bikes: upright bikes, recumbent bikes and indoor cycle bikes. The recumbent bikes from NordicTrack are cost effective and comes with loaded characters such as back support, sleek design and larger seats for you to have a comfortable position when you are exercising. You are assured of a good number of preset workout programs for your workout and programs for entertainment purpose. Compared to other brands, Nordic recumbent bikes come with lightweight flywheels. They are ideal for trainers who are looking to use it for the purpose of losing weight or strengthening the muscles and abs. If you are looking for road bike kind of sensation, then this brand is not for you. One of the best recumbent bike in the market from NordicTrack is the Commercial VR25 Elite which comes with a flywheel weighing 25 pounds and is also enabled with a web-driven touchscreen. Most of the recumbent bikes from Nordic will come with a minimum of 3 years of warranty to up to a lifetime. Lifespan is a leader in fitness equipment industry that was founded in 2001. They are known to manufacture high quality treadmills, ellipticals, and stationary bikes. If you research for their customer service reviews online, you will realise the experience is mostly excellent on the user’s end. There are two basic types of exercise bikes from Lifespan: residential and commercial bikes. 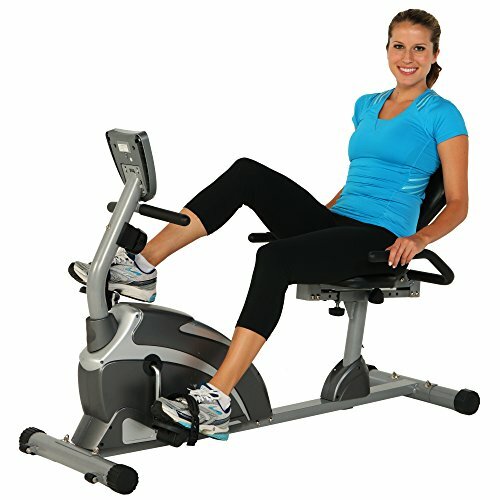 It specialises in three styles of exercise bikes: upright bikes which are mostly for regular use, recumbent bikes which are for general use and for rehabilitation purpose, and indoor cycle trainers which are for outdoor training and for those who look for high levels of challenges in cycling. 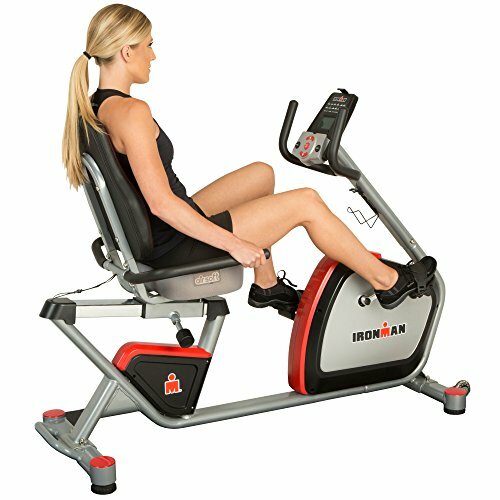 Most of the exercise bikes from Lifespan come with the price range of $699 to $2499 depending on the features of the model. The recumbent bikes from Lifespan have two models: R3i and R7000i, both of which comes with loaded features for a comfortable indoor cycling experience. Some of its best features are oversized seating for a comfortable exercise session, molded foam at the bottom of the seat for a relaxed posture, flexible backrest and the armrests is also molded. You will find 16 resistance levels with Lifespan recumbent bikes and a number of preset workout programs. The price range of these recumbent bikes are $1499 for R7000i and $999 for R3i. Lifespan gives multiple warranties depending on the model you select ranging from one to two years to a lifetime warranty. Ever you ever wondered how is it to pedal under your desk? The fitness products of Stamina comprise of portable exercise machines to fully equipped machines. Their exercise bikes and rowers are relatively low priced. Stamina is a leading name in manufacturing three types of bikes: hybrid exercise bike, recumbent bike, and upright stationary bike. Even the warranty period is relatively less for Keiser exercise bikes, the customer service has so far been respectable and positive ones. Without trying to generalise the products, all their recumbent bikes are easy to assemble and use. They are also portable and comes with the choice of folding them for easy transport and storage. All of their recumbent bikes come with low level of intensity and is ideal for those recovering from an ankle, hand or leg injury or for physical therapy purpose. You can use them either at home or in office depending on your convenience. Aforementioned, Stamina products come with relatively shorter warranty period but for products that are so low priced, a year’s warranty is more than sufficient. The parent company of ProForm is ICON fitness, which also own NordicTrack. 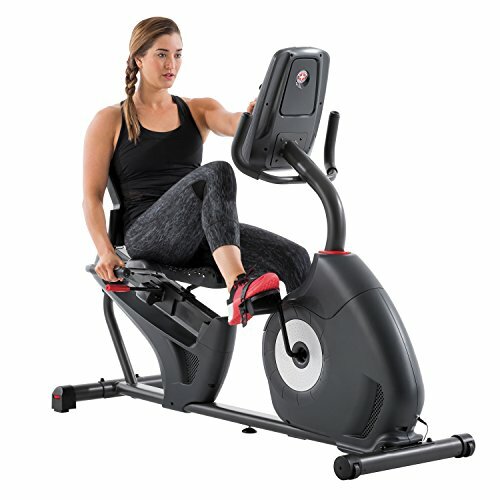 ProForm exercise bikes come with all high-end features you would want your indoor exercise bike to have, which includes: web-enabled touchscreen, internet connectivity, preset workout programs and so on. The price of their recumbent bikes are somewhere between the range of $349 to $1999. Most of the recumbent bikes from Proform are gym quality level. You will get flywheel within the weight of 18 pounds to 20 pounds. The 740 ES Commercial which is apparently the best recumbent bike from Proform comes with effective flywheels of 20 pounds and is also enabled with a three-part crank design that gives the user a smooth ride. It also comes with web enabled touchscreen that provides as many as 34 workout apps and is enabled with iFit technology and Bluetooth connectivity and wireless heart rate monitoring. Most of the recumbent bikes from Proform comes with a three year warranty period, inclusive of labor free service for 90 days. Sole fitness products are known to bring a combination of affordability and comfort all in one machine. No workout can be a satisfactory one if it is not comfortable. 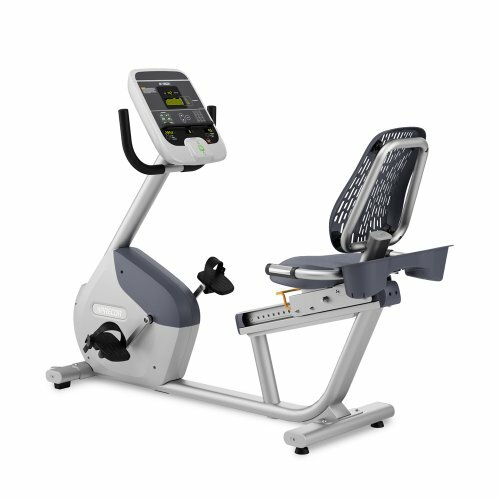 The comfort factor in Sole upright and recumbent bikes come from their ergonomic design, easy to read console display and adjustable seating pad. Recumbent bikes from Sole are great for a comfortable workout session, along with the fact that they come with a number of preset workout programs and Bluetooth connectivity so that you can enjoy your playlist while working out. The Sole R92 is one of the best selling recumbent allows its users to track their fitness routine and vital informations related to it on the Sole app. It is light weight, sleek in design and is easy to move and store. The flywheels are heavy yet comfortable for exercising purpose. Most of the recumbent bikes from Sole Fitness comes with a warranty of 3-5 years on electronic parts and one-to-two years of labor warranty. Some of the high end models come with a lifetime warranty, one such example is the Sole R92 which comes with a lifetime warranty on the frame and 5 years warranty on electronics and parts. We don’t believe in listing anything but the highest quality products in our top-lists. All of the bikes listed above can handle a user weight of 300 pounds or more and each one is the best in their class. Pick any of them with confidence and put them to good use. The modern busy style makes it terribly troublesome for many individuals to figure go to an athletic facility as a result of they need no time to attend sessions. Here we have listed some of the best recumbent bike models which are suitable for everyone out there. There is a research of months and months by fitness experts, behind these recumbent bike model suggestions. Choose your recumbent bike according to your requirements and budget. What are recumbent bikes? And what can they do for my body? Are recumbent bikes good for cardio workouts? Recumbent bikes can be used for cardio but they are not the best equipment for a thorough cardio session. This is because they work your leg muscles and neglect your upper body. Your upper body is neglected due to the laid back seating position. Opt for an upright bike if you are looking for a total body workout. If you have mobility issues or you do not want to injure your joints but still work your entire body, an elliptical machine would be better. The important thing is to ensure that you do not use a single workout routine and equipment for so long. Your muscles get used to the motions which result in negative gains as you work out. I hear recumbent bikes take up too much space compared to upright bikes. Is this true? Yes, recumbent bikes are actually much larger than stationary upright bikes mostly because of the seat and frame design. However, there are some models that are elevated hence take up less space. Also, some recumbent bikes come with the ability to fold and store away after use. So if your apartment is small or you do not have ample space, a foldable bike is better suited for you. 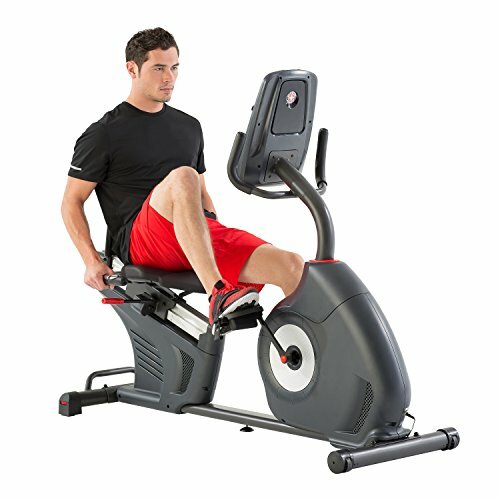 Are they better than the upright bike for workouts? This seems to be the question on everybody’s mind when recumbent bikes are mentioned. To be quite frank, the most accurate answer to this question is, it depends. It depends on some factors such as your workout needs and your physical ability. Both recumbent and upright bikes come with their own convincing benefits. For instance, a recumbent bike is able to work your leg muscles efficiently due to the anterior placement of the pedals. It actually requires more resistance than an upright bike. To get a clear comparison between the two, check out my exhaustive article on recumbent and upright bikes. Who can use these bikes? Recumbent bikes can be used by anyone. They provide a great workout for your legs and cardiovascular system especially because you are relaxed and are bound to work out for longer. However, the elderly and people with mobility issues are the ones encouraged to use this bike as it is easy on your joints and gives you a relaxed workout session. What makes recumbent bikes so different from the ordinary bike? There are numerous similarities between recumbent bikes and upright ones. However, there is one major difference between the two which is perhaps the reason behind their difference in usage. Recumbent bikes both stationary and mobile come with a reclined seat with the pedals in front of the bike frame. This differs from an upright bike in that, the pedals of an upright bike are placed at the sides and the seat is small and upright. This makes recumbent bikes the comfortable alternative of the two. It is no wonder recumbent bikes are recommended for the elderly as opposed to upright ones. Is this a new invention or have recumbent bikes been around? Recumbent bikes have been around since the 17th century. This is 1886 to be precise. They were used as a mode of transport back then and were great for people with mobility issues. Perhaps this is where the idea of recumbent exercise bikes was borrowed. So, to answer your question, no recumbent are not new, they have been around for a while now. This means they can be trusted to deliver a quality workout. What type of resistance should I choose for my bike? There are different types of resistance available for recumbent bikes. Although rare, some recumbent bikes come with air resistance in form of a fan installed on the bike. The fan can multi-task as a form of resistance as well as provide a means of cooling for your feet and body. Another form of resistance used is a belt resistance where a belt runs through the brakes and provides some resistance through friction as you pedal. Finally, you have a magnetic resistance which has grown quite popular. It is preferred over the other forms of resistance due to the fact that you can control your workouts. By a push of a button, you can easily change the resistance and speed. They are also very quiet during workouts hence are great for apartments. What about maintenance, how much work will I put in maintaining my recumbent bike? Recumbent bikes are generally low maintenance but it also depends on the type you own. Magnetic resistance bikes are actually the easiest to maintain as all you need to do is wipe it down every other day to avoid corrosion due to sweat. For bikes that use belt resistance, be prepared to change the belts every few months when it wears out. This is usually a very simple task that you can do by yourself. The belts also quite inexpensive and readily available. So it is not as tough as it seems. Am I safer on a recumbent bike compared to other bikes? Recumbent bikes are considered safer than other exercise bikes such as spin bikes and upright bikes. This is attributed to their general design contributing to a low COG. This means that the chances of you falling off or injuring yourself while on a recumbent bike are really slim. The wide chair, as opposed to raised small saddles found on other bikes, also contribute to the safety and ease in use of this bike. No wonder it is recommended to elderly people. Recumbent bikes are bicycles where the user is seated in a reclining position. The seat is usually low and wide and the pedals are placed in front of the rider. This allows your entire weight to be distributed throughout the chair and supported not only by your buttocks but your back too. Riding or exercising with a recumbent bike works your calves and hamstrings. They also provide cardio workout due to the pedaling action involved.